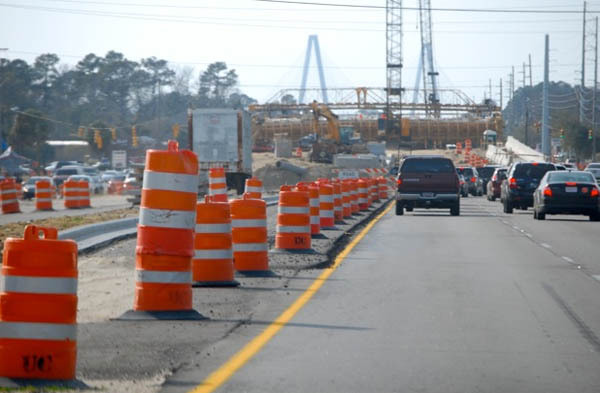 You’re cruising along, thinking, planning, driving, singing with the radio, and suddenly you see those familiar big orange barrels lining the side of the road or emergency lane signaling an upcoming construction zone. You try to ignore them, but their numbers are increasing as you continue to your destination. You see brake lights ahead and there it is – the flashing sign that reads “EXPECT DELAYS!” Whatever mood you had has now been replaced with frustration! So much for cruising, now you are more like crawling. Ugh! Crawling along with all the other people and wondering why today of all days on this road of all roads are they working now! Sound familiar? This is a lot like our daily walk following Jesus. Our personal growth, family life, building relationships, the demands and challenges of ministry, and careers are full of delays caused by construction. Although most don’t come with flashing signs, there are clues that warn us to begin slowing down. Signs that show us we are going in the right direction, but things may take longer or we may have to switch lanes for a while. Expect delays— we always have our time-table or schedule in mind as to how long we think we should have to wait for a trial to end, to receive a blessing or an answer to a prayer. We are sometimes caught off guard if there are extended delays then we get downright mad and frustrated! We question the reason for the delay. We are creatures who have embraced the “now” moment! We want everything now, but sometimes it’s better to wait! Our timing is not God’s timing. We need to remember that it might not be God telling us “No.” Maybe He is just saying “Not right now.” The story of Lazarus is the perfect example. Lazarus was very sick. Mary and Martha, his sisters, sent word to Jesus for healing. When Jesus heard the news, he chose to stay where he was for two more days, not jumping up to rush to Lazarus’ side. By the time Jesus reached Mary and Martha, Lazarus had died and had been buried for four days in the tomb. Was Jesus saying no? No, he just delayed for the purpose of performing a miracle that would lead many to believe that day. Delayed, not denied! Bumps in the road – after a long winter, the ice, snow, salt and brine take a toll on our road system causing potholes. You know the ones that jar your vehicle so bad that all the items tucked away on top of your visor fall in your lap saying words like “I can’t wait until they fix this!” The quick fix would be to send a crew and patch the hole. While it is sometimes necessary to do this, it is only a temporary fix. One day the crew will have to return to resurface and restore this section of the road. Let’s also be clear here, a patched pothole is not pretty! It’s rough, bumpy and uneven. Have you ever driven on a fresh resurfaced road? It has newly painted lines, a smooth dark black surface and smells brand new! There are no uneven areas, and it looks amazing, right? But it didn’t happen overnight, there was a process, some procedures, some delays. Sometimes we just need to slow down, change lanes and allow God to restore. 1 Peter 5:10 says “And the God of grace, who called you to his eternal glory, in Christ, after you have suffered a little while, will himself restore you and make you strong, firm and steadfast.” Every day as we choose to change lanes, we make progress and allow restoration. Lane closed ahead – you see the flashing signs, orange barrels, brake lights and turning signals. Suddenly everyone wants in your lane! You now have a decision to make. Do you inch closer to the car in front of you to continue on your journey? Do you put blinders on and act like you never saw the car next to you with its turning signal on, trying to get in front of you? Ever thought, I had to wait my turn? Why do some people think they can jump ahead? Where is the fairness? If I have to wait, so does everyone else! It took me five years for a promotion! You can’t get one in two years! There are rules, wait your turn! Jesus addresses this kind of thinking in a parable found in Matthew 20. A landowner had gone out in the morning to hire workers for his vineyard. He agreed to pay them a denarius for the day. About the 3rd hour he hired more workers, telling the workers he would pay them whatever was right, so they joined the original workers in the vineyard. Then again on the 6th hour, 9th hour, and 11th hour, he hired more workers agreeing to pay them whatever was right. At the end of the day he went to pay his workers, but he started with the recent workers he hired at the 11th hour. He gave them each one denarius for their work, and they were very happy! He continued to give the 9th hour workers, the 6th hour workers and the 3rd hour workers the same pay, one denarius. When he got to the first hire of the day, he handed them each one denarius, and they began to grumble against the landowner. Stating it was not fair, the landowner reminded them that each of them had agreed to work the day for one denarius. Those hired after you only agreed to work for what was fair. I am not being unfair to you. Take your pay and go! I have the right to do what I want with my own money. Are you envious because I am generous? Life is sometimes unfair, as the first shall be last and the last shall be first. Don’t race, give grace! My prayer for you after reading this is that when you see the sign “Expect Delays” or brake lights to slow you down or even lane changes to avoid pot holes or resurfacing, remember we are all going in the same direction! Our daily walk, the narrow road, the process to progress all involve our Heavenly Father, Jesus, the Holy Spirit and yes other people. Expect delays! Trials are for growing and maturing. Restoring is much better than a quick fix. Go deeper with God so He can heal your hurts and fears. As you slow down, look for opportunities to bless and put others first. Encourage, edify and honor each other. Be aware of their value and worth. Let God show you something while traveling through those bright orange barrels!! Everyone must expect delays and bumps in the road of life. It was meant to be that way. God told us it wasn’t going to be sunshine and a bed of roses all through our walk in life. We must put our trust and faith in God and he will be there right beside us all the way. Never give up because God never gives up on us. Amen!! Love This Tish, thanks for sharing!